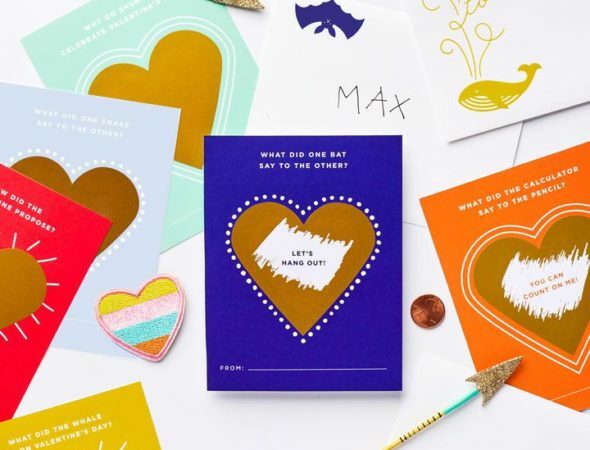 Empowering Valentine cards, because everyone is super in their own way. Three different designs, all with a corresponding temporary tattoo. 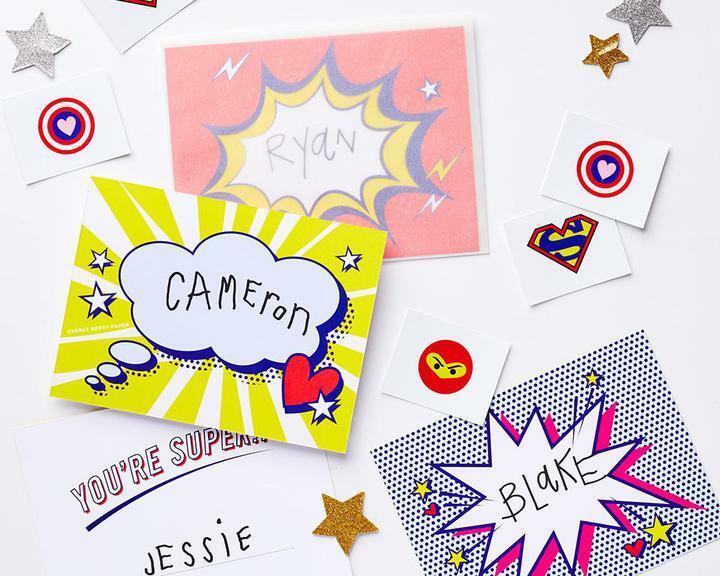 Kids can write their Valentine’s name in the thought or sound bubbles, and add their name on the flip side! Insert the cards in tactile, vellum envelopes.